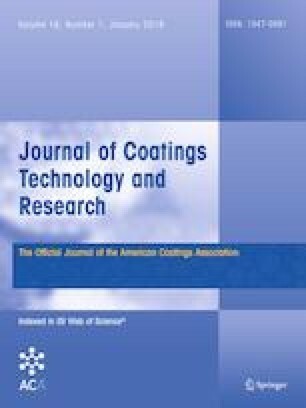 A new CAO/TDI adduct was synthesized by reacting 2,4-toluene diisocyanate (TDI) with castor oil (CAO) in a molar ratio of 70%, respectively, at 100°C for 90 min. The chemical structure of the synthesized adduct was confirmed by FTIR analysis. Furthermore, such adduct was emulsified in water using stearic acid/triethanol amine system. Moreover, the emulsion was examined as a water-repellent as well as an antibacterial finish for cotton/polyester fabric. The results indicated that the emulsion treated fabric acquires water repellency, softness, stiffness, and antibacterial properties. In addition, the surface of the aforementioned treated fabric was characterized via scanning electron microscopy.